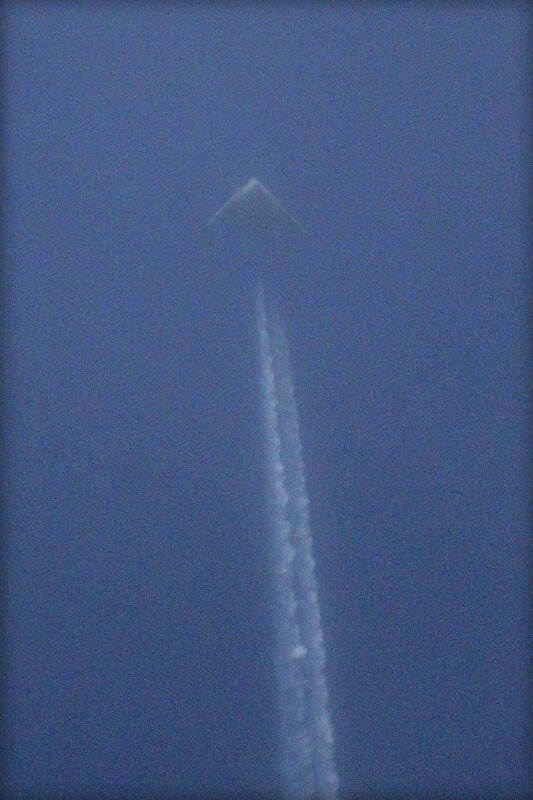 The mysterious triangular-shaped aircraft has made several appearances over the skies of the continental United States — with the most recent sighting being over Wichita, Kan. last week — is likely a U.S. military aircraft, according to information from military sources. Though a preponderance of evidence points to a classified U.S. military aircraft, there is still a limited amount of information on the type of aircraft or any other characteristics. Amateur photographer Jeff Templin captured an image of the aircraft with a high-powered 400mm lens when it was flying almost directly overhead. Templin said that he observed the aircraft make several S-turns, leaving a contrail in its wake. “Right over the city, clear as a bell,” Templin told KSN, a local Wichita television station. Earlier on March 10, photographers Steve Douglass and Dean Muskett captured images of what appear to be three of the same type of aircraft flying in formation over Amarillo, Texas. As before, the aircraft were flying high enough to leave a contrail. “One of the three then did something either unusual or on purpose that made it’s planform visible for a brief few seconds,” Douglass wrote on his blog. While it is hard to discern any real detail from the images taken over Texas in March, Templin’s photo clearly shows the mystery aircraft’s triangular planform. The shape is reminiscent of the U.S Navy’s General Dynamics/McDonnell Douglas A-12 Avenger II carrier-based bomber program to replace the Grumman A-6 Intruder that was cancelled in Jan. 1991. However, it is impossible to determine the size or any other pertinent data from the photos leaving only educated inferences. “Given the resolution of this photo, we can’t even tell if it is a military aircraft, much less an Air Force one,” U.S. Air Force spokeswoman Jennifer Cassidy told USNI News. Cassidy referred USNI News to the Federal Aviation Administration. One Air Force official did concede that the aircraft likely belonged to the service, but could not comment further. Retired Air Force officials who were shown Templin’s photo of the aircraft in question declined to comment on the matter. Given that the aircraft were leaving contrails in their wake, the aircraft must have been flying at high altitudes above 26,000 ft. According to NASA, contrails form in above 26,000ft where the ambient temperature is less than -40 degrees Celsius. The contrails also give away the fact that the unidentified aircraft is a multi-engine design. It is highly likely that the unidentified jet is a manned platform given the FAA’s harsh restrictions on the operations of unmanned aircraft inside the national airspace system. Unmanned aircraft do not yet have the sense and avoid capabilities needed to avoid mid-air collisions, which is a major obstacle to flying freely over domestic airspace as far as the FAA is concerned. If the three aircraft that were flying in formation over Texas are indeed of the same type as the one that was spotted flying over Kansas, the probability of the jet being a manned combat aircraft rises exponentially. Non-military aircraft seldom ever fly in formation; neither do most military aircraft not designed for combat. The other possibility — if in fact the three aircraft operating over Texas were flying in formation — is that there are manned versions of the aircraft that act as command vehicles for unmanned variants. Essentially, a manned version of the aircraft could be the flight lead with the others being unmanned wingmen. Industry sources noted that the aircraft that appeared over Texas and Kansas appeared to be going out of their way to draw attention to themselves. “These [guys] are just being flagrant–did you see the detail that this aircraft was photographed while doing sharp S-turns, generating contrails, in severe clear conditions?” said one industry source with experience on classified programs. It is exceedingly unlikely, according to industry sources that the Defense Department or intelligence community would accidentally allow a presumably classified aircraft to be photographed openly in broad daylight twice in a row. 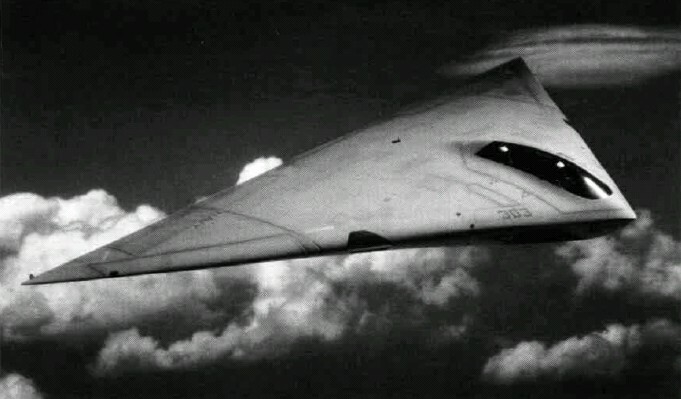 If the mysterious triangular aircraft is indeed a classified platform, it is likely that it has been in development and testing for years — possibly more than a decade — before the first photographs were taken earlier this year. In that case, it is highly probable that the aircraft is being integrated with the larger overall U.S. military force structure, which is why the jet has started to be spotted more often. 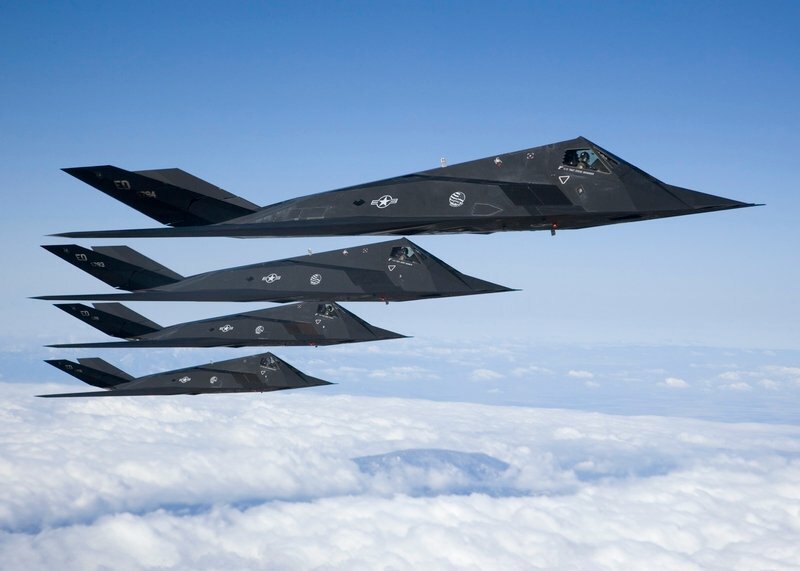 That being the case, this aircraft would be following a pattern laid out by the Lockheed Martin F-117 Nighthawk during the late 1980s when the Air Force first started to fly it during daylight hours to properly integrate the jet into the its force structure. In the case of the F-117, the service knew it was only a matter of time before the cat was out of the bag. As such, the Air Force had a statement ready to go for that eventuality. It is possible that the service will release more information when more clear pictures are inevitably taken. 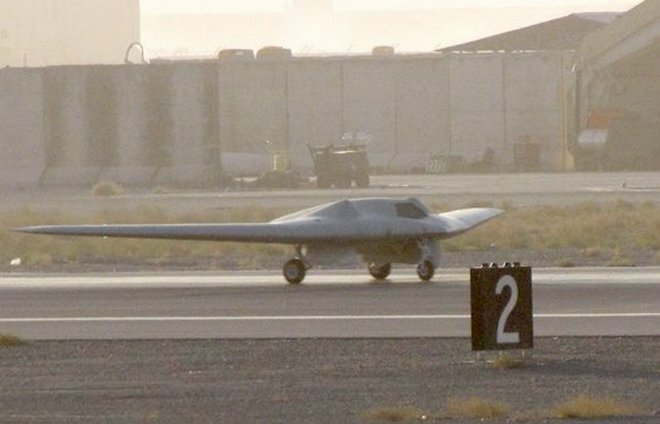 Another recent example, that follows a similar precedent, was when the Air Force disclosed the existence of the Lockheed Martin RQ-170 Sentinel unmanned reconnaissance aircraft after it was photographed repeatedly over Afghanistan. However, to this day, the most detailed images of that aircraft are from an example that was allegedly captured by Iran during a reconnaissance mission inside that country.